Following on from the news that England captain Phil Vickery is now a serious injury doubt for Sunday's encounter with Italy in Rome, comes the shocking admission by 92 year old head coach Brian Ashton that he is solely responsible for the misfortune which has recently befallen his team. "It's true...it's all my fault," confessed the ageing coach. "After the 36-o disaster against South Africa in Paris in September I'm ashamed to admit that I entered into a diabolical agreement with a character calling herself The Wicked Witch of the East Stand. The deal was that we would get five matches-worth of fantastic luck, but then would suffer an eternity of misfortune. 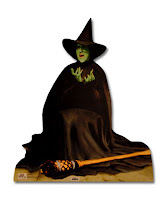 The spate of injuries we are now suffering is obviously a manifestation of the old hag's curse." 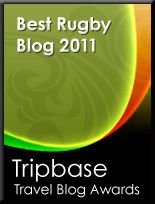 When asked why the good luck had not extended to the decision of TMO Stuart Dickinson not to award the now infamous Cueto Try in the World Cup final, Ashton was non-plussed. "Good point," he said. "But if he had given the try we'd have won the World Cup which, when you think about it, would have been ridiculous - not even evil magic is that strong." Despite the recent setbacks Ashton is confident that he can defeat the curse this weekend. "We've taken decisive action and have cancelled all training between now and kick off on Sunday," he said. "Furthermore we will quite literally be wrapping each member of the squad in cotton wool." 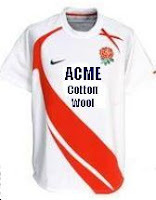 In a separate announcement the RFU today confirmed a major new 4-year sponsorship deal with Acme Cotton Wool Ltd.